Students of Wainibuka Primary School in Nayavu, Tailevu, participated in their inaugural Fun Day yesterday as part of Fiji Day celebrations. Students and teachers took part in outdoor activities and sports. The day started with speeches on the history of Fiji and the significance of the Fiji Day celebration to children and all young Fijians. “Fiji Day was remembrance of the hard work done by our forefathers and how our beautiful country was ceeded to Great Britain,” school headteacher Sereima Waqalevu said. 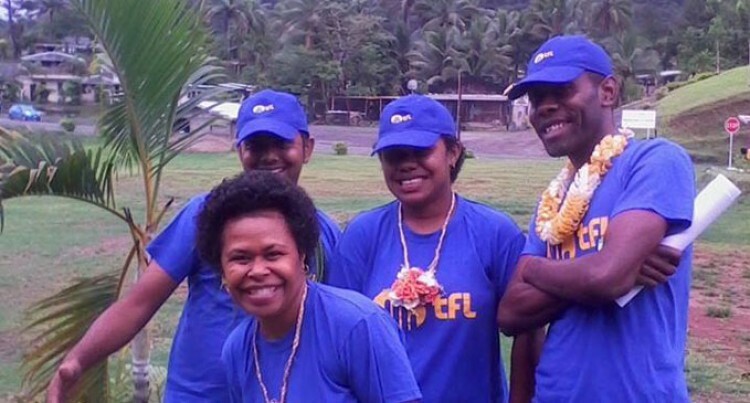 Teachers and students were dressed in blue to mark Fiji Day.